This morning, nothing we had at home sounded good for lunch so I planned to make a repeat trip to Jason’s Deli for the Best Lunch Ever. 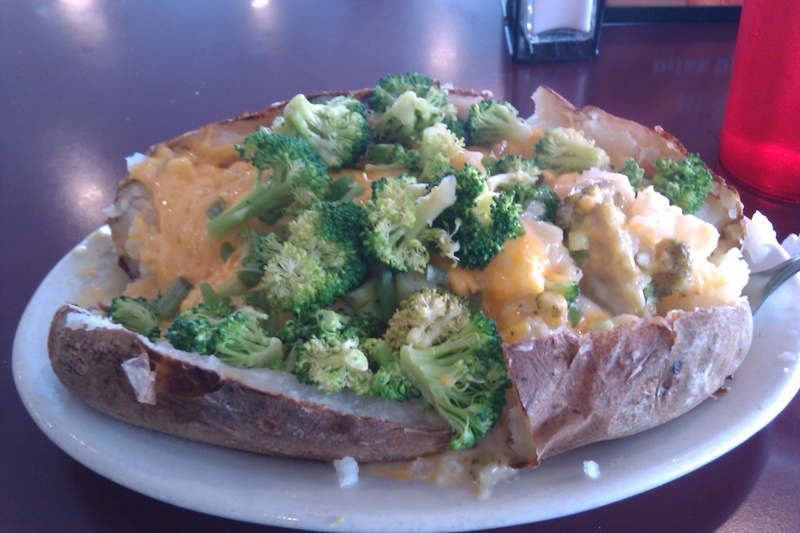 I was planning to order a whole bowl of the broccoli cheddar soup, instead of just a cup like I had last time, but as I was looking at the menu, the Spud Au Broc stood out to me. The combination of my two current loves – the best broccoli cheddar soup in the world and a potato. Naturally, I got the full size potato because I’m pregnant and was starving. No worries though. I took it down. I’ve been paying for it a bit since lunchtime with a very uncomfortable stomach (whether from eating too much or eating cheese, I’m not sure) but it was worth it. My only complaint? That I burnt my tongue since I couldn’t wait for it to cool off before digging in. And bonus points: there’s my veggies for the day. 😉 Never mind the calorie count of that bad boy. Ahem, 1,510. 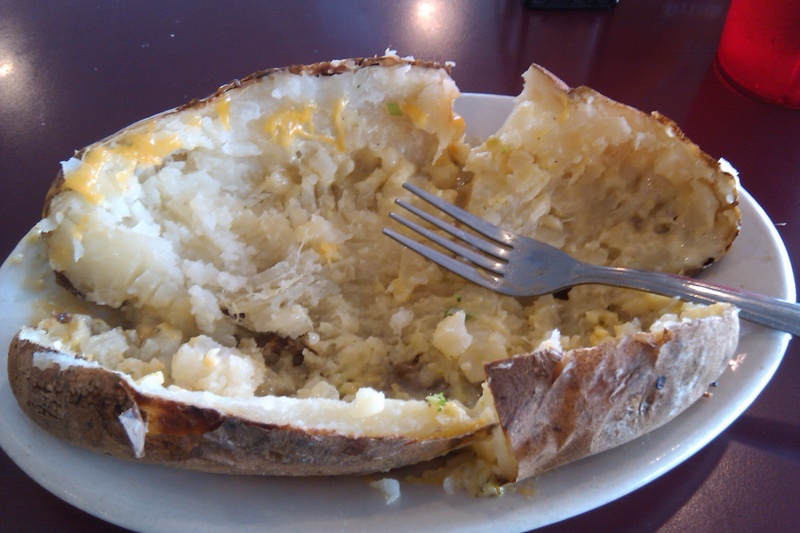 I randomly went to Jason’s Deli for the first time ever a few weeks ago and got that baked potatoe. It was freaking delicious! And it fed me the next day… Now I want another one…mmm!